LOS ANGELES - On Saturday, March 23, 2019, approximately 37 men and women, comprised of 20 runners and 17 support staff made California Department of State Hospitals (DSH) history by competing for the first time as an independent team, representing Metropolitan State Hospital (MSH), as Team #276 at the 35th Annual Baker to Vegas (B2V) Challenge Cup Relay. Preparing for this race took approximately 10 months of coordinating, planning, and training. All of the runners and support staff dedicated their time, energy and money to see this event through. 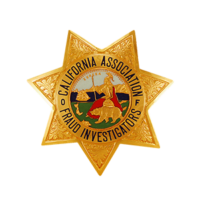 California Statewide Law Enforcement Association (CSLEA) and California Association of Criminal Investigators (CACI) member, Investigator Jared Rodriguez, who works with the MSH Office of Special Investigations, courageously took on the responsibility of Team Captain and dedicated a substantial amount of personal time to planning this event. He strategically formulated and executed a plan to raise funds, increase publicity, secure equipment, recruit runners, and enlist the help of support staff and sponsors. 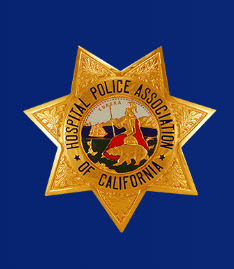 Hospital Police Sergeant Andrew Essig (Co-Captain) and Sergeant Andy Shin also played instrumental roles in organizing and promoting team events, lobbying for sponsors, attending official meetings, coordinating merchandise orders, securing equipment, fundraising, and volunteering their time. 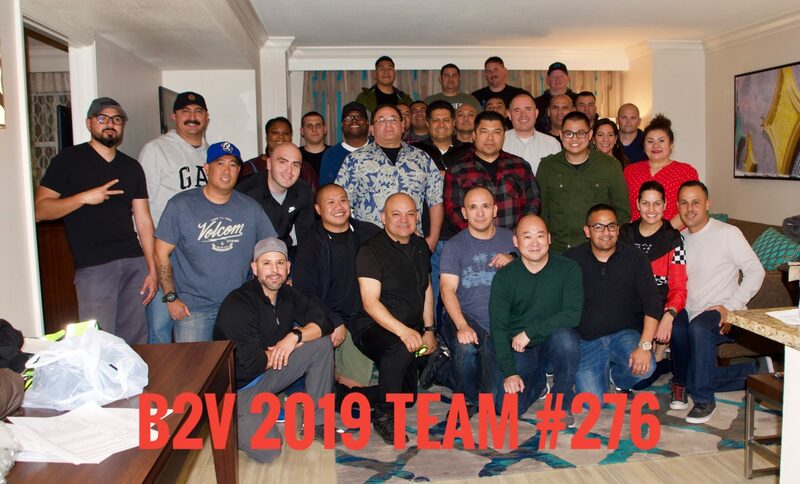 As a result of their hard work, Team #276 was proudly sponsored by: CSLEA-CACI, Metropolitan State Hospital Police Officers Association (POA), J&K Beef Jerky, Next Stage Engineering, Pelican, and Tam’s Burgers. Since it was their first year, it was estimated Team #276 (DSH-Metro) would take approximately 20 hours to complete the 120 miles. 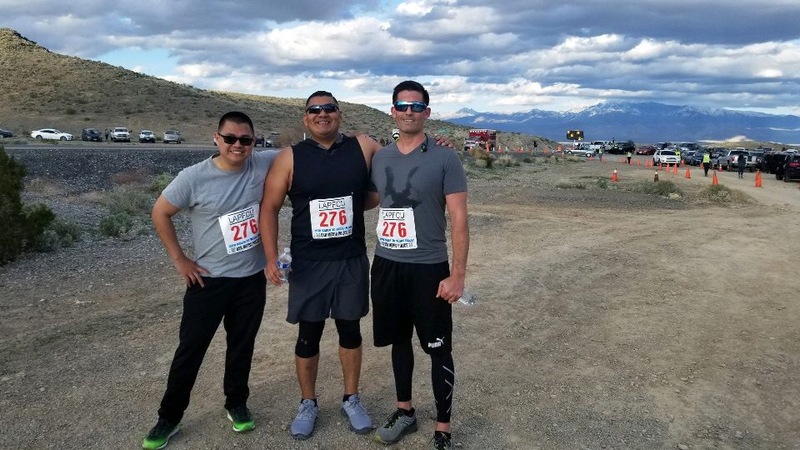 Investigator Darryl Hayes, one of MSH’s consistent medal winners in track events for the Police and Fire Games, started off the relay race in Baker, California running Stage 1, which was 6.8 miles long. 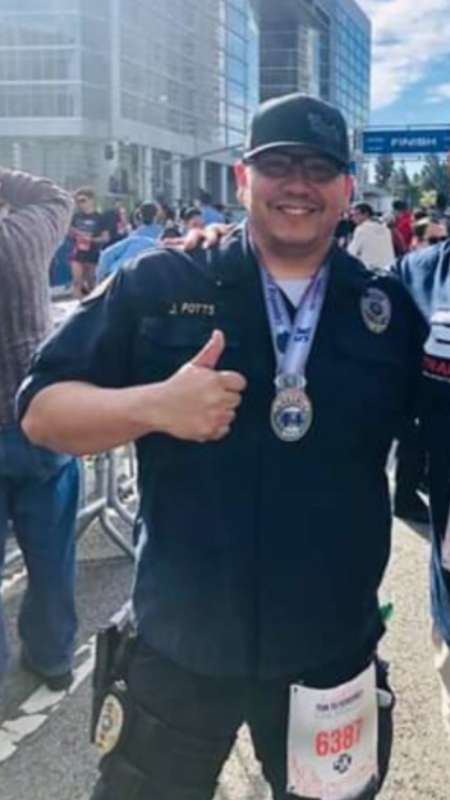 Investigator Jared Rodriguez, in addition to taking on the role of Team Captain, successfully ran the longest leg of the race, Stage 15, which was a total of 10.7 miles at a 4200 ft elevation. 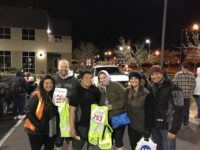 Although 90% of the team was sworn personnel, two civilians confidently joined DSH-Metro’s running team and proved to be valuable assets during the race. 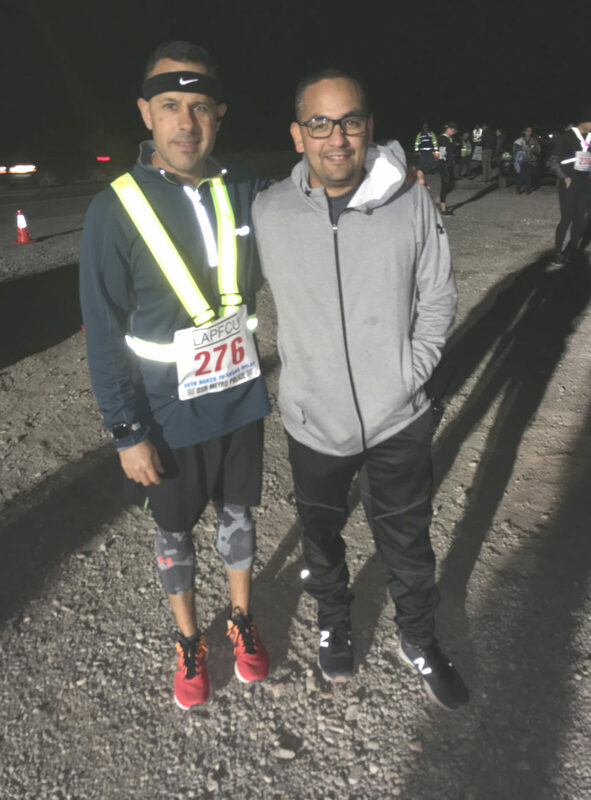 Psychiatric Technician Dax Arroyo ran Stage 16, which was 4.9 miles, uphill to an elevation of 5200 ft. Building Maintenance Worker Jorge Lopez ran Stage 18, which was 5.7 miles downhill beginning with a 2,800 ft elevation. 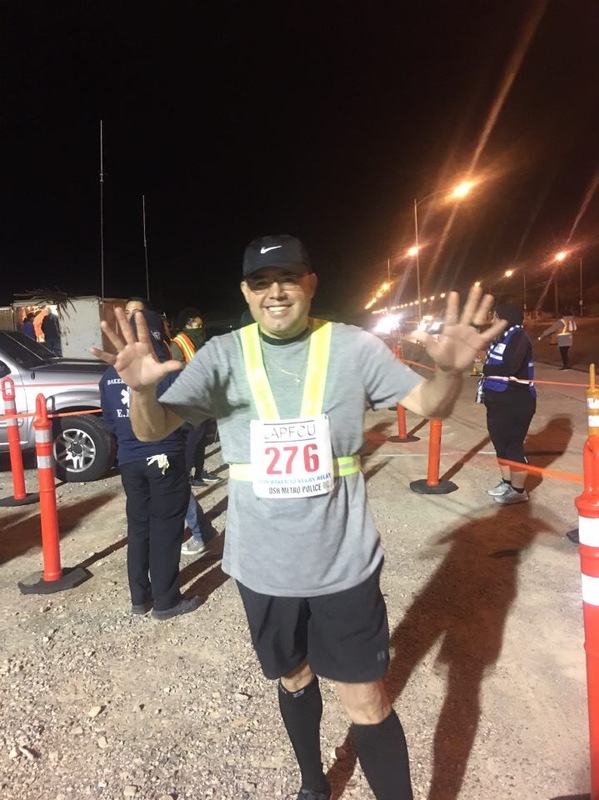 MSH’s Police Chief, Martin Rivera, finished Stage 20 strong and ended at the Westgate Hotel in Las Vegas, Nevada. Due to the vigorous effort and dedication the runners put forth, Team #276 was able to complete the race in 19 hours and 49 minutes, with no penalties. This success allowed the team to move up 20 spots and secure the title of Team #256 for next year’s race. Stage 19 Officer Francisco Rocha. Additionally, each team is required to have “alternate” runners who ride in the follow vehicle during the race. The alternates must be prepared to run at any time, if one of the primary runners becomes incapable of beginning or completing their stage of the race. The CSLEA members who were alternate runners included Sergeant Andrew Essig (Stage 1-5),and Sergeant Andy Shin (Stage 11-15). Although this event was challenging, stressful, expensive, and time consuming, Team #276 could not deny it was an honor and a memorable experience to represent DSH on this running team. Investigator Jared Rodriguez built the ultimate prototype plan for all Team Captains to use in the upcoming years. All of the runners and support staff who took a part in the team’s success have left behind a legacy. 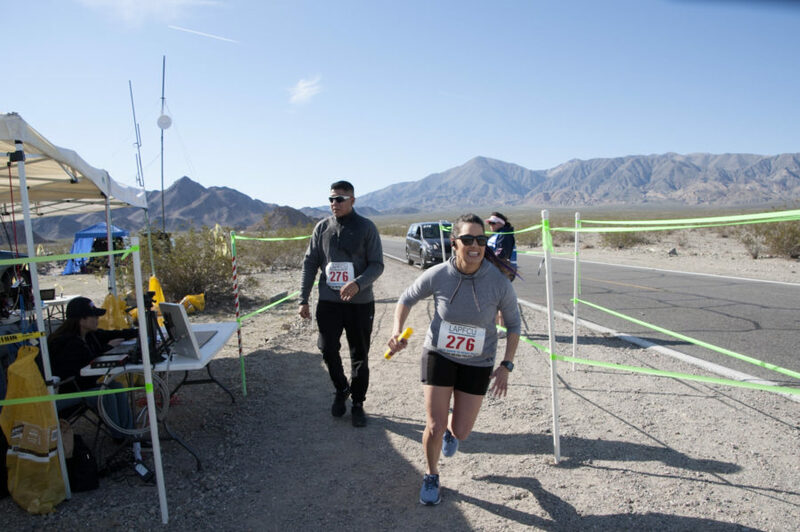 The DSH-Metro running team plans to make the Baker to Vegas Challenge Cup Relay an annual tradition and hopes to reach a point where they can qualify to take home the coveted prize of a “Challenge Cup” (Mug). They are looking forward to gaining more support from fellow coworkers, sponsors, family and friends in future races. Lookout for them in 2020! They’ll be Team #256 and stronger than ever!